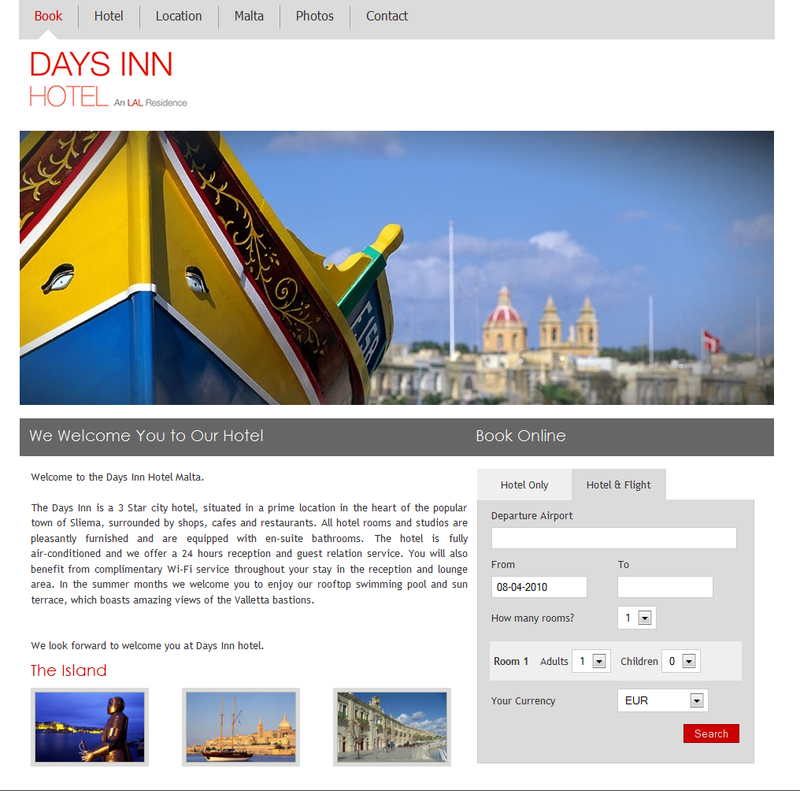 Abakus Solutions have launched a new website for Days Inn Hotel in Sliema. Using the powerful AddAJet booking engine, users are able to book their hotel accommodation at the Days Inn in Malta as well as a flight from the hotel's website. Having 400 different airlines, users from all over the world will be able to book a complete holiday from their preferred hotel's website. Addajet allows the hotelier to offer his customers with a one stop travel solution on the hotel website, a solution that allows the hotelier to maximise on online revenues, increases up selling opportunities and direct bookings. AddaJet 'Hotel edition' is a revolutionary internet booking engine that allows the Hotel website to be able to offer Hotel Only, Hotel + Flight, Hotel + transfer and more. Apart from the cutting edge online booking facility, this website provides information about Malta and the hotel plus a gallery section showing different parts of Malta. Click here to visit Days Inn Hotel website.